FanDuel is well known for their fantasy sports offerings. Now owned by Paddy Power Betfair, they’ve introduced a sportsbook and betting app. New customers can earn a welcome bonus of up to $500. 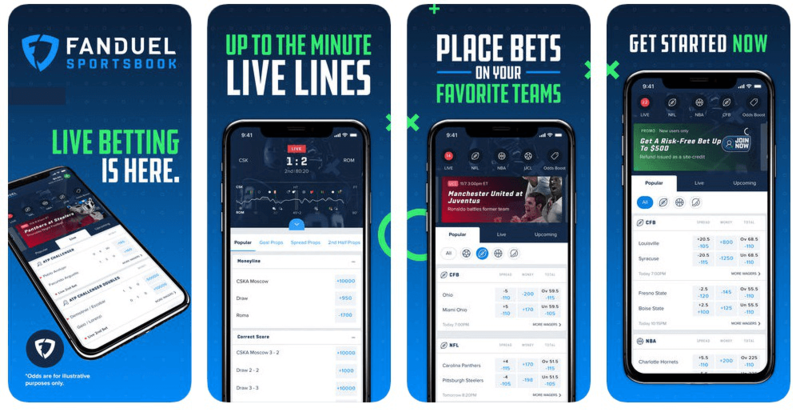 In this review, we’ll show you how you can download the FanDuel Sportsbook app and start betting on your favorite sporting events. Be sure to check out our full FanDuel review. You can download the app on both Apple and Android devices. Follow the steps below to download the FanDuel mobile betting app on either operating system. You’re ready to use the FanDuel Sportsbook app for betting! You’re set to play with the FanDuel Sportsbook app! For Android users, note that bookmaker apps aren’t available directly from the Google Play Store. Whilst you can download the FanDuel mobile app from iTunes if you prefer, you will need to begin the Android installation from the bookmaker site. Also, you will need to click on Unknown Sources for Android 7.0 operating systems or All From This Source on 8.0 and higher to allow the installation to be completed. To be able to download the app, make sure your operating system meets the minimum requirements set below. Once you’ve completed the download FanDuel Sportsbook app process, it’s easy to start placing wagers. Find the sport you want to bet on in the list on the left-hand side of the page. Click on the event and hit the More Wagers icon for the list of all available markets. Your selection will then appear in your betting slip. Enter your stake and click Place Bet. You can make deposits via the cashier section of your betting account. VISA and Mastercard are both accepted payment methods but check with your bank if any fees apply using either of these options. Note that some banks and prepaid card companies don’t allow transactions to or from online bookmakers. This list can vary, so it’s a good idea to check with your banking institution first. To withdraw any winnings, visit the cashier section of your betting account. Choose how much you want to withdraw and your preferred withdrawal method. Once you’ve confirmed your withdrawal, your funds will be on their way to you. How long it takes to receive your funds depends on the withdrawal method you select. 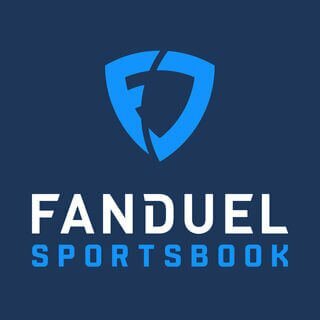 If you have any issues with your FanDuel sportsbook account, you can contact the customer service team in a number of ways. Hit the Support button found at the bottom of the page to get started. You then have four options. The quickest way generally is to use the Live Chat function. Live Chat is available 24 hours a day. Alternatively, you can email the customer support team. You can also telephone or write. It may be worth taking a look at the FanDuel FAQ section. The Frequently Asked Questions cover a huge range of topics, so you should be able to find your answer here. The FanDuel mobile app is rated pretty highly, particularly compared to some of their competitors in New Jersey. It’s simple to place your wagers using the FanDuel app. Simply click on the event of your choice, find your market, and add them to your betting slip. In-play betting can provide huge excitement. The app gives you in-depth live betting options on a number of sports and events. It’s also easy to make deposits into and request withdrawals from your betting account. Not having live streaming is a disappointment, but like their competitors, FanDuel is likely to offer this somewhere down the line. The sign-up process is fairly straightforward, though you do need to be in New Jersey to verify your account. However, your welcome bonus of up to a $500 risk-free bet is one of the more attractive offers out there.